St. Andrew’s Kenn Church, nr. Exeter: A Study in the Beauty of the Gothic Revival Movement. 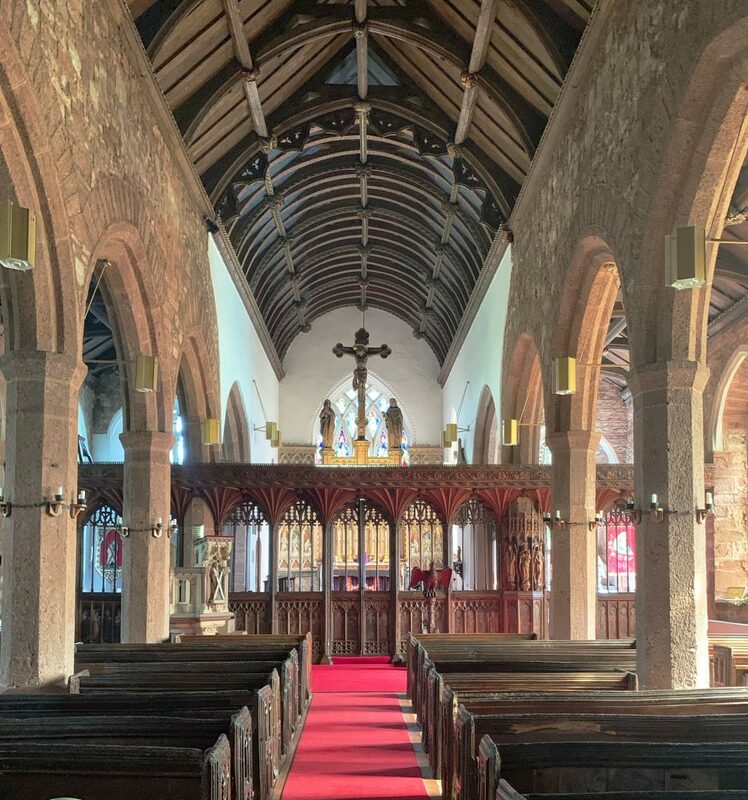 The small attractive parish of St Andrew’s Kenn Church, near Exeter in Devon is constructed from local red sandstone and its interior is a true testament to the beauty of the Gothic Revival period. The churchyard is also home to one of the oldest yew trees in Britain. 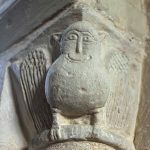 It appears that the first church to be constructed at Kenn was Norman and there’s documentary evidence of this in a charter written in the mid-12th century, which also notes that the church was already dedicated to St Andrew at that time and remains so to this day. 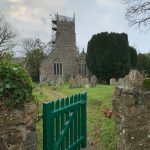 The present church, which is Grade I listed, dates back to the 14th century but is on the site of the earlier building of which only the Norman Purbeck marble font seems to have survived. The local red ‘Heavitree’ sandstone building, with its striking crenellation, is highlighted with tracery windows carved from the white chalk limestone quarried at Beer Quarry creating an attractive contrast. Hardman & Co was founded in 1838 to manufacture metalwork, but by 1845, as the demand for ecclesiastical fixtures and fittings burgeoned, started producing stained glass. This was primarily at the behest of the most important gothic revival architect of the day – A. W. Pugin who commissioned the company to produce all the windows for the Houses of Parliament, apart from those in the House of Lords. The gothic revival style is most apparent in the small oblong windows either side of the tower arch on the west wall of St. Andrew’s depicting the Annunciation and the Nativity (see below). 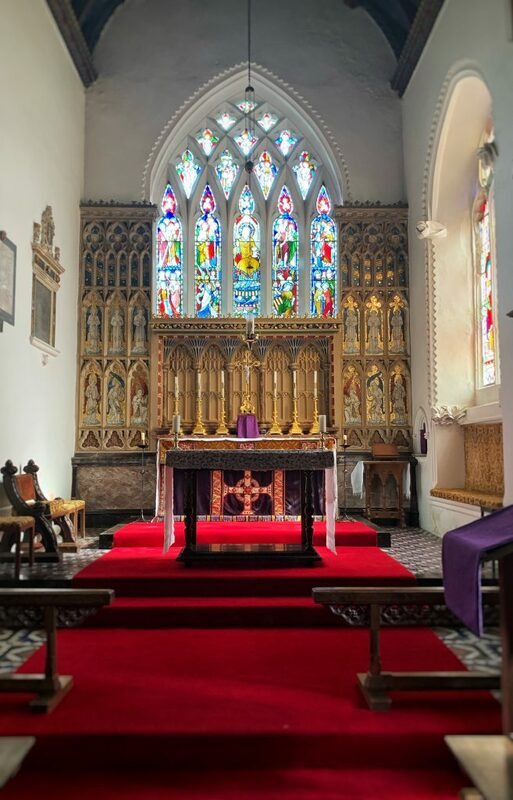 The bright jewel-like colours and the intricate decor typical of the Gothic Revival movement were some of the earliest to be completed, by Hardman, at the church in 1869. In 1858, The Reverend R. Porter became the vicar of St. Andrew’s and was a member of the Oxford movement thus wanted to revive certain Roman Catholic doctrines and rituals (ie. High Church.) of which the furnishings of the church were of utmost importance. 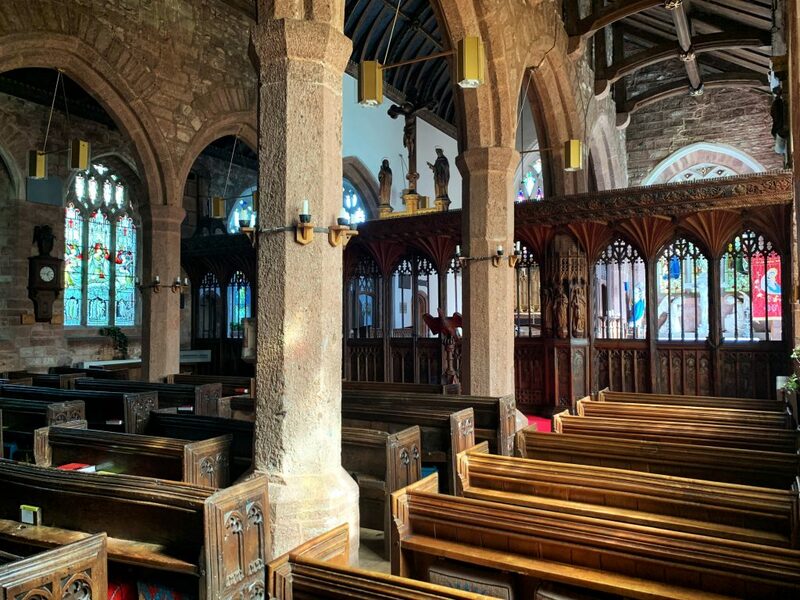 Other churches of this period with Tractarian (or Oxford Movement) vicars who also had a profound effect on the church interiors are The Church of St Protus and St Hyacinth at Blisland and The Church of St Petroc at Little Petherick. Reverend Porter was instrumental in creating much of the wonderful interior that we see at St. Andrew’s today. 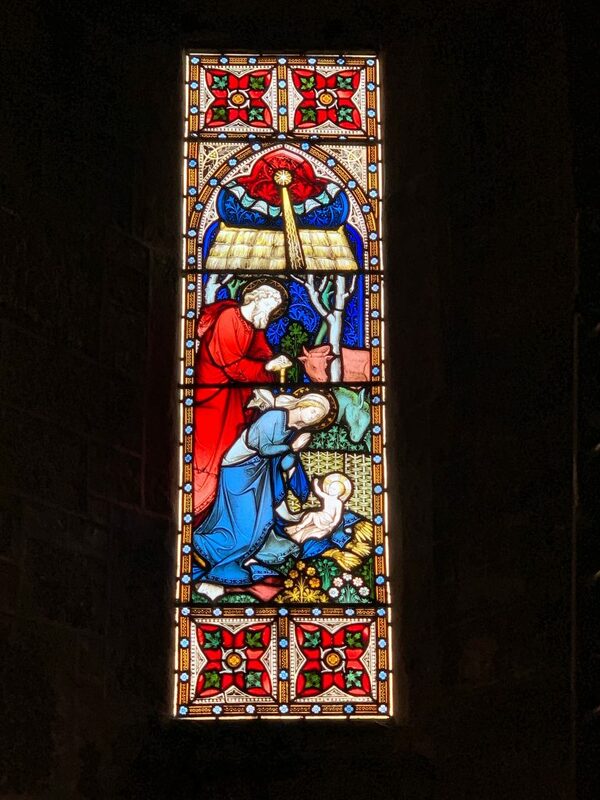 Like the vicars at Blisland and Little Petherick, he seems to have been very creative and came up with the concept for the stained glass window series depicting scenes from the life of Christ as described in the New Testament. 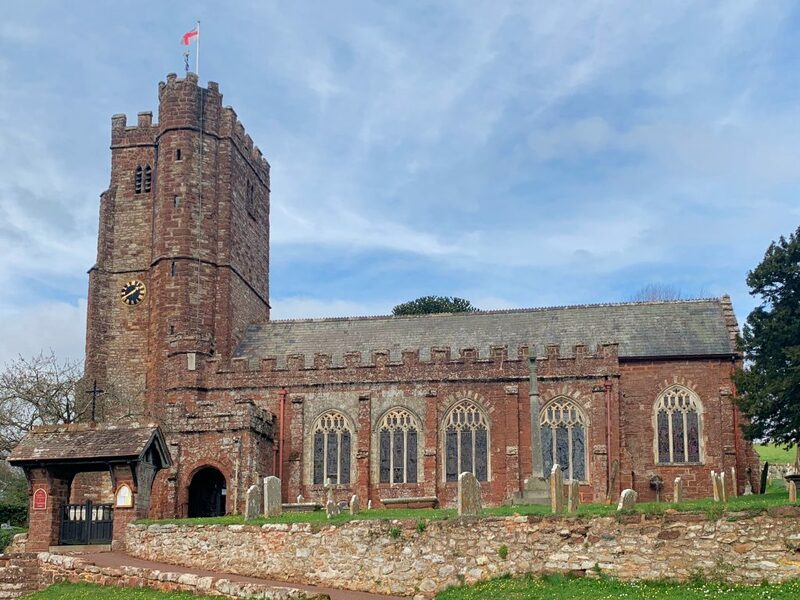 Pevsner and Cherry, in the Buildings of England – Devon call these ‘unforgettable’! What is highly unusual at Kenn, is that the entire project was followed through to completion, albeit over a number of decades and the Rev. Porter lived to see his idea come to fruition. In most churches, the entire project was never finished for one reason or another. Many of the windows were completed as memorials and thus paid for by benefactors. 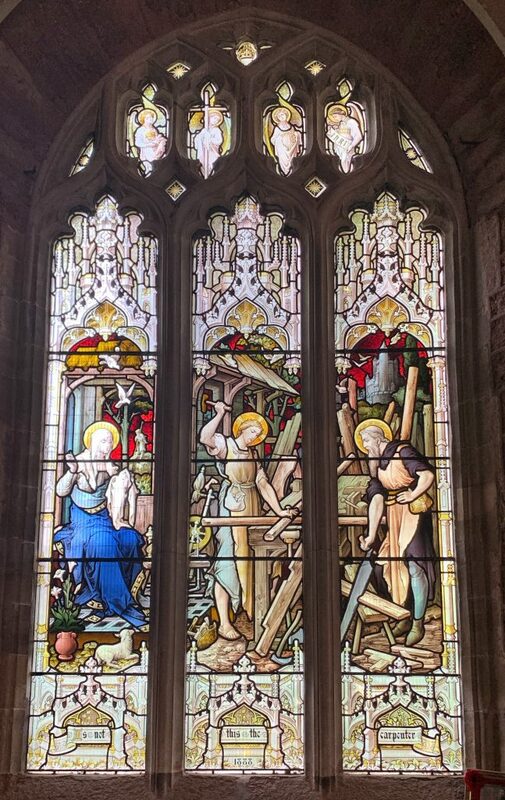 The window above, showing ‘Our Lord in the carpenter’s shop at Nazareth’ was completed in 1888 and is just one of the twelve unforgettable windows created and installed by Hardman & Co. 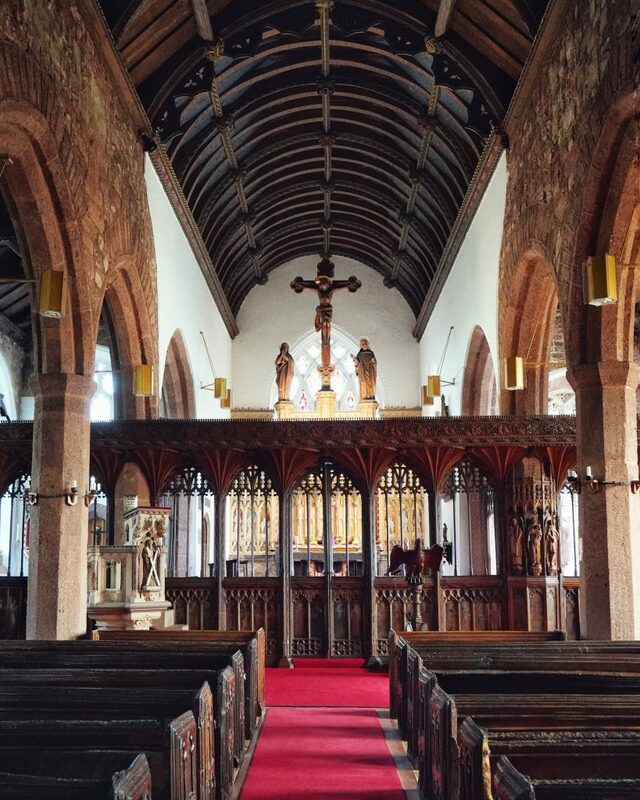 The Gothic Revival theme continues in the church at Kenn with the magnificent Rood Screen that was constructed c1500 and then renovated to its former glory by the prolific architectural and ecclesiastical sculptor, Harry Hems, (1842-1916) whose studio was based in Exeter. Hems originally moved from London to Devon to carve the stonework for the Royal Albert Memorial Museum in Exeter and never moved back! 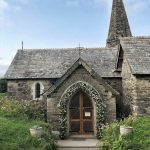 He founded a large workshop in the city specialising in the Gothic Revival working in both stone and wood which were installed in hundreds of churches, including the Church of St Peter at Noss Mayo built by Edward Barings in 1882. 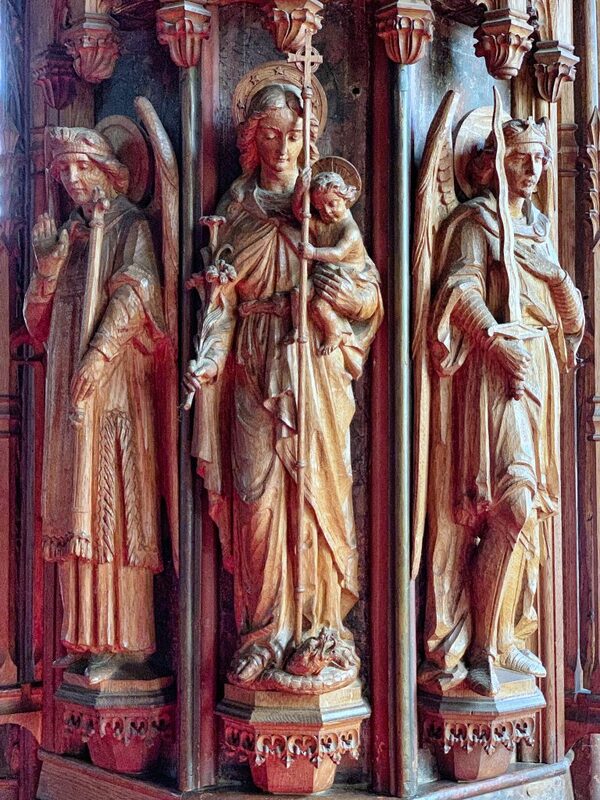 Hems restored the thirteen bay Rood Screen at Kenn, to designs by the architects Fulford and Harvey, from 1887-1890, The figures below are pure Hems and the coving is also from the 19th century. 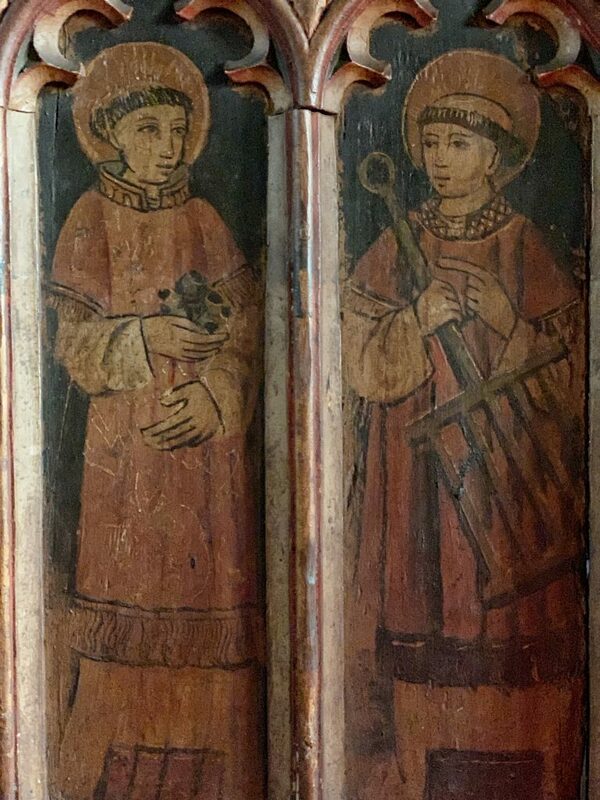 However, the painted wainscot panels are 16th-century and many are well preserved; with figures of male saints on the northern side and female saints on the south. During the latter half of the 16th century, the Elizabethan iconoclasts removed items that had previously been deemed sacred such as the Rood (Effigy of Christ on the Cross) and Rood Loft as they were symbols of the banned faith – Catholicism. Only a handful of pre-Reformation Rood Lofts remain in existence as the majority were destroyed. One that survived due to being hidden behind a wall is that of the Church of St James at Avebury in Wiltshire. 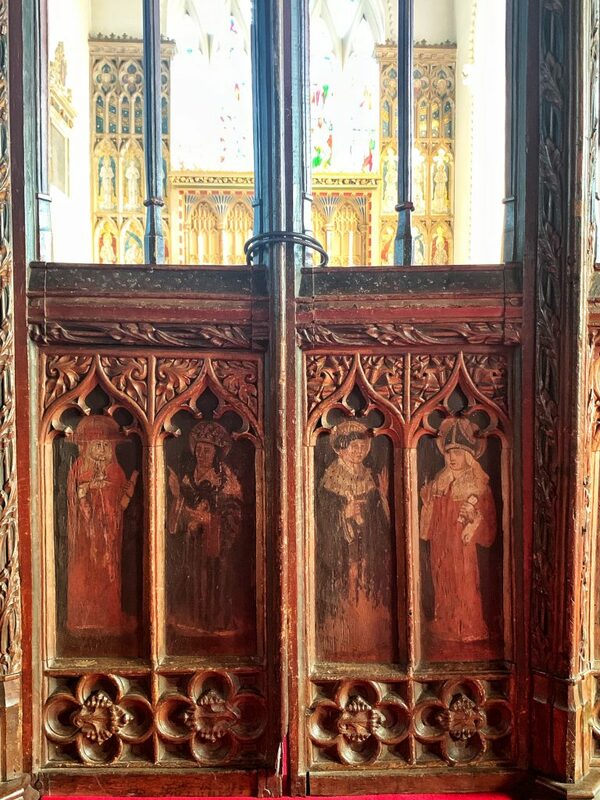 Most Rood screens remained in place and were renamed Chancel Screens but sadly many of the screens suffered losses to the saints with painted panels defaced and the faces being removed from stone and wooden figurines. Rather surprisingly, despite its proximity to the city of Exeter, St. Andrew’s screen somehow escaped this fate. The Rood and Loft were accessed by a staircase which, at St. Andrew’s is found in St. John’s Chapel behind an attractive arched oak door. The impressive Rood, that catches the eye on entering the church, depicts Christ on the Cross flanked by the Virgin Mary to the right and St John to the left. 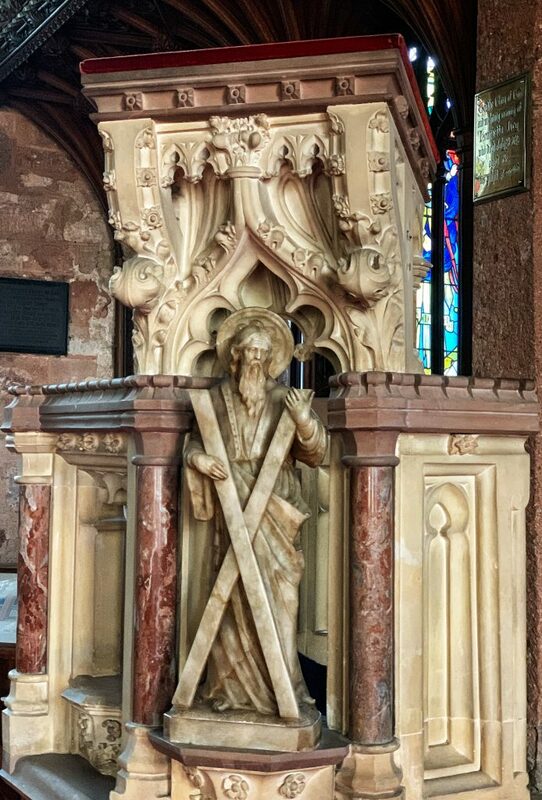 It was carved in Oberammergau and installed in 1885 and is said to be the first Rood to be placed in a Devon church after the Reformation. A tall tale maybe – but no one has ever claimed otherwise. The decor in the chancel can be directly linked to the indefatigable Rev. Porter, who was incumbent from 1858-1894 and is a tribute to high church decor. 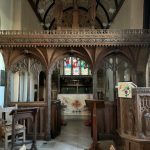 The work was carried out at the same time as the restoration of the Rood Screen and once again it’s the work of the Hems atelier; designed by Fulford and Harvey in the 1890s. The 5-bay canopied painted stone and marble reredos is flanked on either side by mosaic that are inserted into earlier (1860s) tracery work. The East window (above the altar) was the first of the stained glass series by Hardman & Co to be installed in 1867 and is of ‘Our Lord as Great High Priest’. 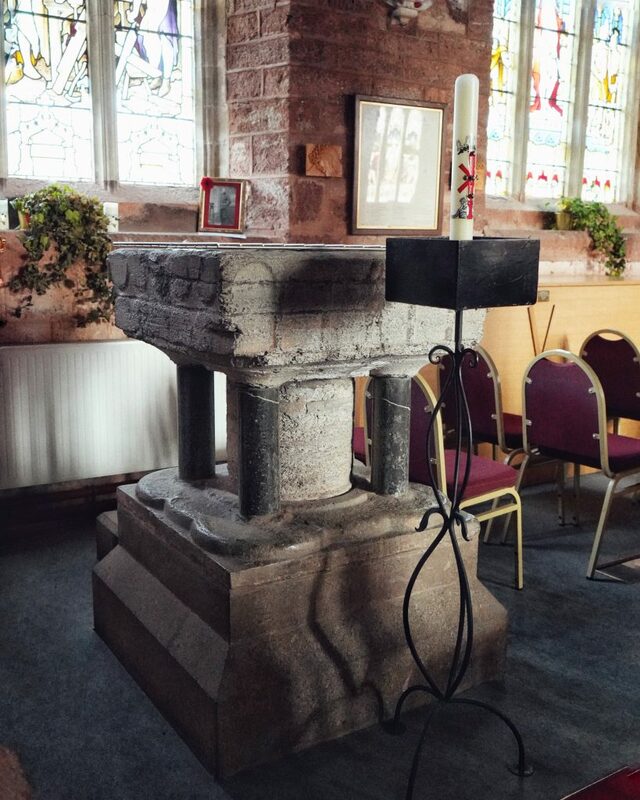 The ornate pulpit of stone and marble sits just outside the chancel. 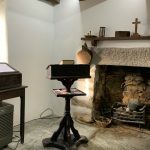 It was designed by Easton and Son in 1875 and St. Andrew, patron saint of the church, stands just below the reading desk. 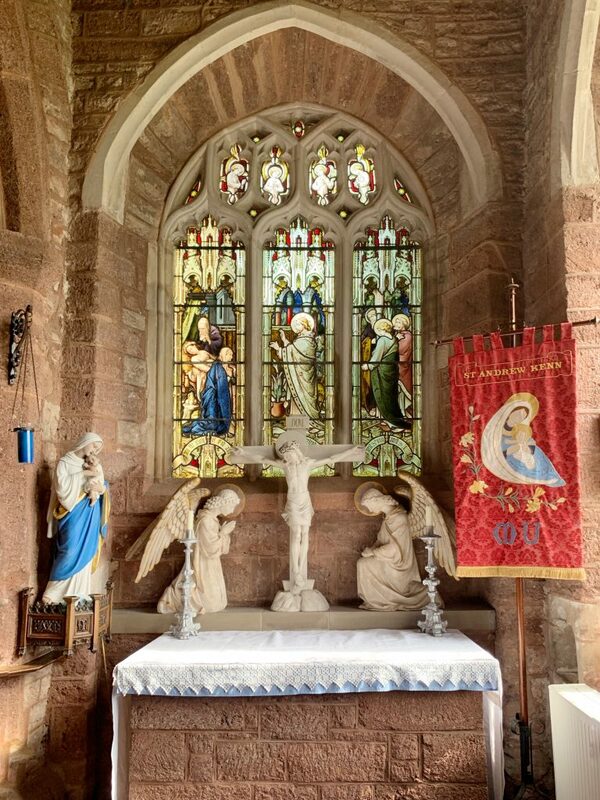 There are so many interesting features in this church that it hasn’t been possible to detail, but a quick mention must be given to the Lady Chapel which compared to the rest of the church is remarkably simple in style; as is St. John’s chapel situated the other side of the chancel. The Raising of Jairus’ Daughter – part of the Hardman series of stained glass is on the east wall and the simple altar, constructed out of local stone by one of the past vergers, sits just in front. The large alabaster kneeling angels and the Italian white marble Crucifixion by P. Bartolini were originally part of a reredos for the chancel that was designed in the 1860s by the architect Henry Woodyer (1816-1896); a staunch follower of the Oxford Movement and disciple of A. W. Pugin. Quite why the reredos was altered again just some thirty years later is unclear. Maybe the simple graceful lines of the statues were just – too simple, not flashy enough in the scheme of things? Exeter – An ancient city dating back to Roman times with sections of the early wall still visible today and a number of Roman artefacts on view at the Royal Albert and Memorial Museum. Elsewhere in the city, you’ll soon discover plenty of independent shopping experiences and many great eateries. Ugbrooke House – One of the few remaining family mansions in Devon that’s still inhabited by the family themselves, Ugbrooke is an unusual stately home somewhere between Chudleigh and Kenn. 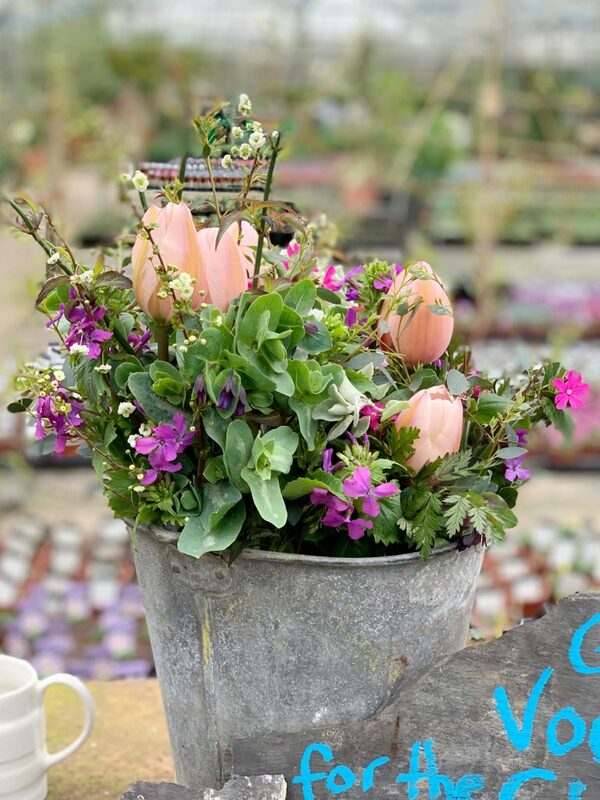 Open for guided tours in the summer months, there’s also a café on site where you can enjoy a traditional cream tea. Haldon Belvedere – The highest point in the area is that of Haldon Belvedere, the remaining solitary tower of a once sprawling abode. 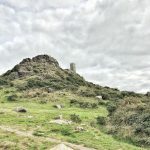 High up on the hill and overlooking the rolling green hills that are so synonymous with Devon, in the summer you can visit the stunning venue for a fee.